The university is indigenous to Western Europe and is probably the greatest and most enduring achievement of the Middle Ages. Serving as much more than stodgy institutions of learning, medieval universities served as exciting arenas of people and ideas, greatly contributing to the economic vitality of Oxford, Cambridge, and other university cities, and serving as the birthplace for some of the era's most effective minds, laws and discoveries.This survey aims to provide an overview of medieval universities for general readers without extensive or detailed knowledge of the medieval period. The introduction sets the stage for the rest of the book by highlighting, in terms of specific historical figures, some key points about medieval life. 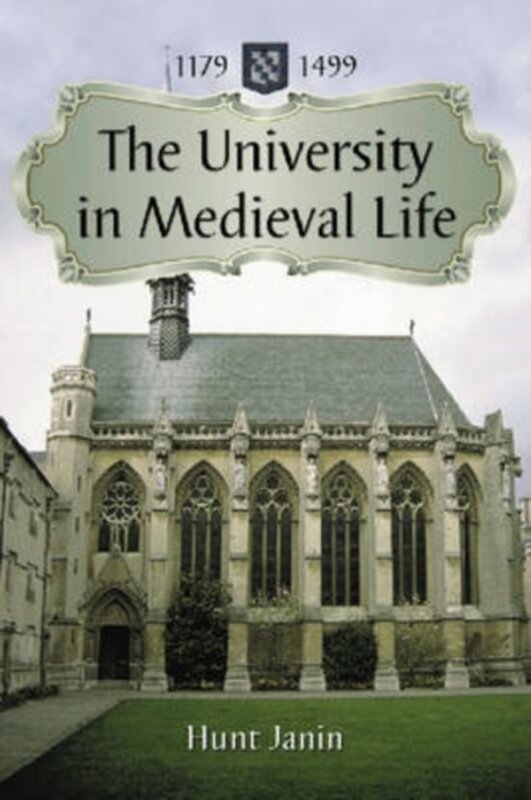 The rest of the book traces, at greater length, the growth of selected universities, including the universities of Bologna, Paris, and Oxford, along with ten lesser known universities such as the universities of Padua, Naples, Angers, Prague, and Glasgow. The work covers a time span beginning in 1179, when Pope Alexander III ordered that every cathedral should have a master who could teach Latin grammar to able but impoverished students. It ends in 1499, when the French king rescinded the right of the University of Paris to go on strike, thus depriving it of its most effective weapon. Photographs are included, along with a map showing the locations of major medieval universities.